Mega Sale! 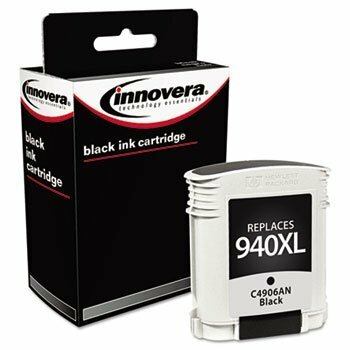 Save 30% on the Innovera Remanufactured C4906AN (940XL) Ink, 2200 Page-Yield, Black by Innovera at QX Web Cam. MPN: 4906ANC. Hurry! Limited time offer. Offer valid only while supplies last. Innovera Remanufactured C4906AN (940XL) Ink, 2200 Page-Yield, Black Fully compatible and more economical than OEM ink. Quality performance assured. Epsonamp;reg; - Somerset Velvet Paper Roll, 255 g, 44amp;quot; x 50 ft, White - Sold As 1 Each - Velvet surface for rich details and accurate reproduction. SUBLIJET HD Ink Cartridge - YELLOW Color - WITH 110 SHEETS OF SUBLIMATION PAPER "Made in Japan". (This ink cartridge is for Sawgrass Virtuoso SG400 and SG800 printers only).